In 1948, Paul Rudolph was residing at the American Academy in Rome. 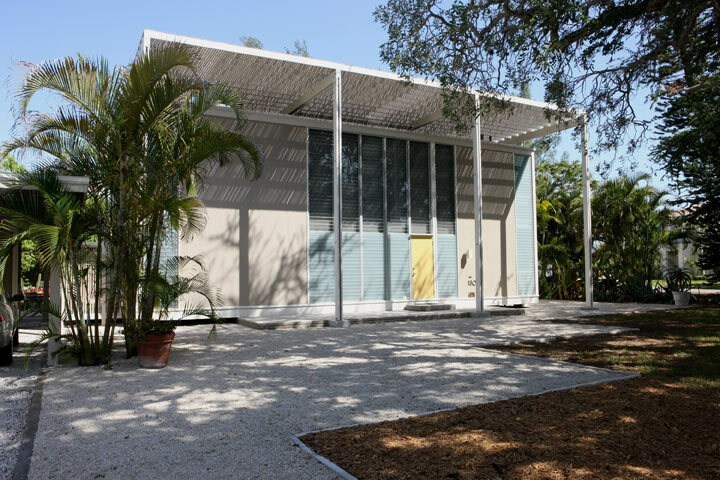 He had traveled there to study classical architecture, but was instead spending his days designing modern houses for Sarasota, Florida. 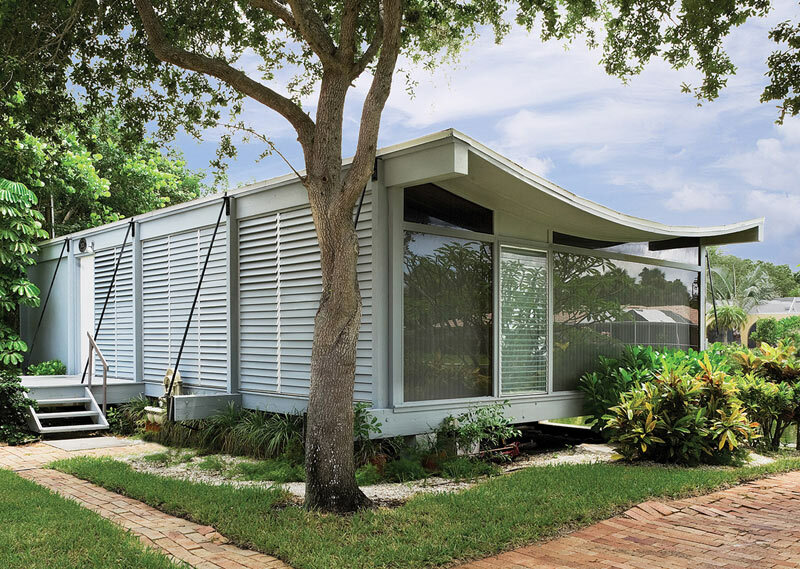 In fact, Sarasota, according to Timothy Rohan who has recently published a monograph on Rudolph, made a huge impression on the architect and defined his work for the rest of his career. He had moved there to apprentice and work for the local architect Ralph Twitchell, who in the 1940s helped create a style of modern house that eventually became known as the Sarasota school. 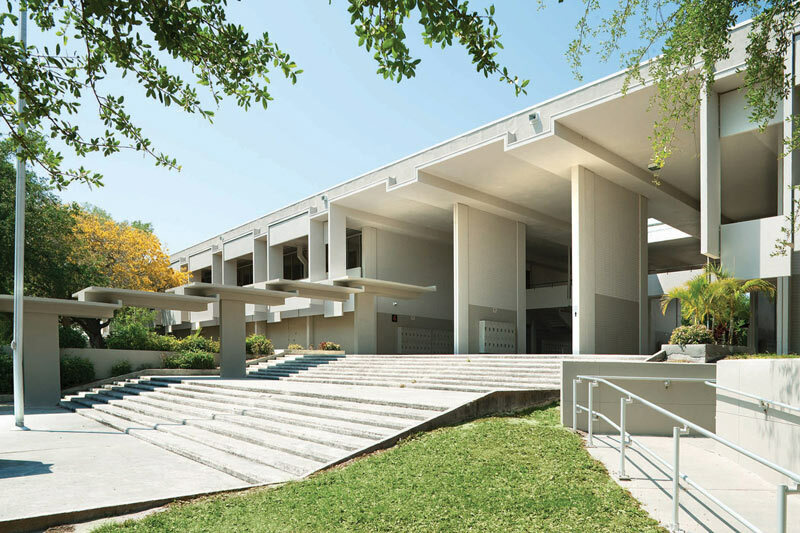 Sarasota High School by Paul Rudolph. From October 9–12, 2014, the Sarasota Architectural Foundation, will be staging “SarasotaMOD Week[end],” a four-day celebration of the region’s iconic mid-20th-century architecture, particularly its oceanside houses and famous public schools. Leading architects, designers, historians, and authors like Carl Abbott, John Howey, Joe King (co-author of Paul Rudolph: The Florida Houses), Lawrence Scarpa, Tim Seibert, landscape architect Raymond Jungles, and author, critic, and filmmaker Alastair Gordon will explore the ongoing impact of this movement through presentations, panel discussions and tours. For more information and to register for the weekend, click here. Healy Guest House by Ralph Twitchell and Paul Rudolph.